"his October, one of the biggest, most successful horror franchises in movie history arrives in theaters in vivid, chilling 3-D with the release of Lionsgate’s SAW VII 3-D. The first theatrical feature to be shot exclusively on the cutting-edge SI-3D digital camera system, SAW VII 3-D brings the horrifying games of Jigsaw to life like never before. The film stars Tobin Bell, Cary Elwes, Costas Mandylor, Betsy Russell and Sean Patrick Flannery. 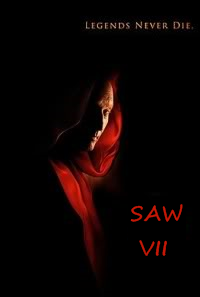 SAW VII is directed by Kevin Greutert, produced by Oren Koules, Mark Burg and Gregg Hoffman. 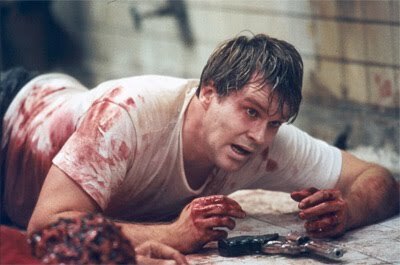 SAW VII 3D is a Lionsgate Release. Twisted Pictures Presents a Burg/Koules/Hoffman Production"
Did you see who's back in the cast: Cary Elwes! Yep, you read that right, Dr. Gordon (Cary Elwes) will be back!